We’re proud of the fact that you can play golf virtually year-round at High Meadows Golf & Country Club, bit’s a given that winter is a slower season than the rest of the year. Cold temperatures and windy conditions do their part to keep people off the golf course and at home beside a warm fire, even in March. If the longer days and bright blue skies of March have you dreaming of spring golf, take advantage of that new motivation to get ready for your busy season by re-gripping your clubs. 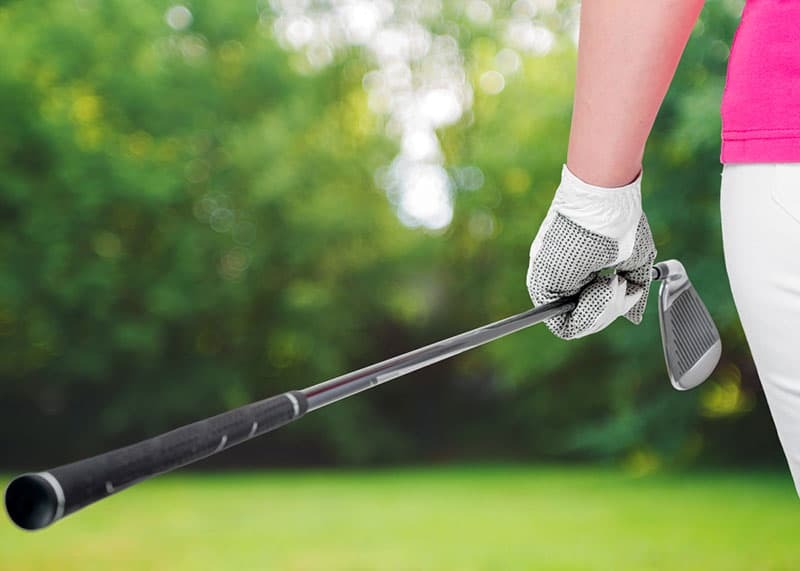 Experts recommend putting new grips on your clubs about every 30 to 40 rounds of golf, or once every year or two depending on how often you play golf. Golf grips wear down over time, becoming slick as the rubber loses elasticity and the leather dries out. This can affect your grip by causing you to unconsciously put more tension and pressure on the club, or causing slipping on the club. When grips are old you might find your arm gets tired more easily, your stroke is off-center, or you’re not getting as much distance as you used to. Grips can also be replaced for reasons other than normal wear and tear. Some people might change the grip to a material more suited for the weather where they play most often. Cord grips are often recommended for areas where it is hot and humid, like our summers here in North Carolina. It helps provide additional traction to prevent slipping. You might also regrip your golf clubs to better fit your hand. While most players use the standard sized grip, having a grip that matches your hand can help improve your game by giving you a better angle on the ball and a stronger stroke. If a grip is too small you end up with extra hand action that tends to pull the ball, and when the grip is too large it limits wrist pronation which can stifle distance. A grip fitter will help find the right size for your grip, and you can choose from the four basic sizes or a custom-made grip. High Meadows’ Golf Shop offers golf club grip replacement for its members. Visit our shop and talk with our golf pros, Todd and Tim, to find out what grip is best for you. Now is the perfect time to take advantage of this, while things are still relatively slow on the course. And in a matter of days, you’ll be able to see for yourself just how much your game is improved by the new grips.